When you have children, there’s a lot to keep up with. Besides your daily logistics, meal preparations, and cleaning, you also have to worry about your child’s healthcare. 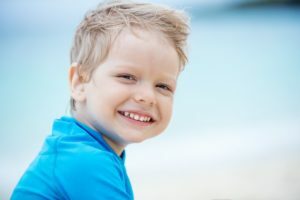 One thing parents often forget is that your son or daughter is automatically more susceptible to dental issues like cavities and tooth decay at their young age. Since you have enough to worry about, you want a pediatric dentist in Long Island City that can provide the best care possible for your loved ones. Keep reading to learn some tips on how to find the right pediatric dentist for your children. A great way to start your search is to contact family members and friends that have children to ask them about their experiences with their pediatric dentist. Since they’ve already visited the dentist with their kids, they can provide you valuable and reliable feedback, so you can see if their pediatric dentist may be right for you. Another great way to learn about your child’s next potential dentist is to visit their website. Most dental websites nowadays have detailed information about the dentists and the practice. If you see that a dentist from the website your searching is accredited as a pediatric dentist, that means they’ve gone through at least 2 to 3 years of additional training and education to provide optimal care for children. While reviews can tell you about the practice and most websites have pictures of their office, there’s no substitute for checking out the real thing. Be sure to bring your son or daughter with you to see if they’d be comfortable in the office as well. Most pediatric dentists will welcome parents to come and visit with their kids to make them feel comfortable before any exams or cleaning. Catching red flags sooner rather than later can save you time and money when looking for a pediatric dentist. If you notice any of the warning signs below, keep searching! The dentist is pushing upsells or in-office products even if you’ve shown no interest. They are recommending treatments that seem extensive and unneeded. They refuse to let you sit with your loved ones during their appointment. If your potential pediatric dentist has good reviews from your family, friends, and online, your child feels comfortable in their office, and you haven’t noticed any red flags, you just found your children’s new dentist! Now you can have the confidence that your child is getting great oral healthcare in a friendly and comfortable environment. Dr. Michael Capozzi has worked with children of all ages, starting as young as 6 months! He has gone through extensive training and additional education, where he experienced all aspects of pediatric dentistry, including caring for special needs children. He currently practices at LIC dental associates where he can be contacted through his website or by phone at (718) 530-6539.